Before you buy a new home, whether it is not yet built, newly built, or an older home, it is important to research it thoroughly. For most people, buying a house or an apartment is the biggest investment they will make, so it's wise to go into it knowing as much as possible, including any defects or potential problems. When you purchase an older house you are likely to be buying into some problems. Homes that have been neglected can have problems with the structure, roof, plumbing, electrics and gas, which can pose a risk to the overall integrity of the building, as well as your safety and wellbeing after you move in. Even if the house has been well maintained, you can expect a few matters will need to be dealt with, even if it is simply a need for redecoration. For newer and newly built homes, there is the potential problem of weathertightness failure or, at the extreme end, a leaky building. Some homes built in the period from early to mid 1990s until around 2003 have shown failures in construction, design, supervision and material installation. You need to take particular care if you are in the market to buy a home identified as being prone to leaking. Rust or other unusual staining on exterior walls. Any cracks in the cladding where rainwater could enter. Wall claddings should be clear of the ground and of balconies and decks to stop water soaking upwards. There should be sheetmetal or plastic flashings over windows and doors. 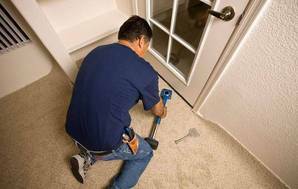 Any dampness and rot around windows and doors. 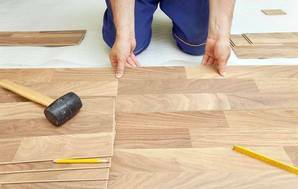 Decks should be set below internal floor levels. Parapet walls should have flashings covering their top surface. Any penetrations, such as pipes or wires, should be correctly flashed where they enter the roof or cladding. Inside – any stains on ceilings, spongy flooring, mould spots on interior walls, and particularly, musty smells. Top fixed handrails on balustrades. Ask the vendor specifically if there have been any leaks or weathertightness-related problems, and whether a claim has been lodged with the Weathertight Homes Resolution Service. If you buy a home to later find it has problems with weathertightness, you may have remedies under the law. Special land features such as erosion or flooding. Any rates owing on the land. Permits, building consents or requisitions, and other certificates previously issued by the local council or Building Consent Authority. Zoning and the use to which the land may be put and any conditions applying. Any notices to the council by any statutory organisation that has the power to classify land or buildings for any purpose. Any notices to the council given by any network utility operator under the Building Act. Any other information that the council thinks relevant. If you discover from the LIM or council files that some work has been done on the house without a building consent, (the original plans and drawings of any alterations may be available from the council for you to check against), you can ask the vendor to apply to the council for a certificate of acceptance. The vendor is not bound to comply with your request (and the council may or may not decide to issue a certificate of acceptance) but risks losing the sale by not being able to demonstrate that the work is up to Building Code standard. When you are buying a house, the principle of buyer beware applies. It is your responsibility to check out the property and either find or discount defects. The agent has no legal obligation to point out the defects of the property to you, but neither are they permitted to make misleading statements or give misleading impressions about the property. So ask lots of questions and make sure they get back to you with answers. If you believe you have been misled, you may have remedies under the Fair Trading Act. There may also be a remedy under the Contract and Commercial Law Act for misrepresentation made by the agent that induced you to enter into the agreement to purchase. You would have to discuss this with a lawyer. When you decide to go ahead with a purchase you have to sign a sale and purchase agreement which, when signed by the vendor, becomes a binding contract. Learn more about what is usually found in a sale and purchase agreement. It is essential to do a title search before you purchase any property to find out about the ownership of the property and whether there are any restrictions on the usage of the land, such as a fencing covenant, or building restrictions. Your bank may ask for a valuation if you are seeking a mortgage. A private valuation done by a registered valuer is most likely to give you the true value of your property at the time when you apply for a mortgage. Note: There may already have been a valuation done for the vendor but we say it’s wise to get your own. You can find a registered valuer by searching on the New Zealand Property Institute website. A registered valuer is one who has met the standards and requirements of the Valuers Registration Board (VRB) and has a current practising certificate from the VRB. A Rating Valuation (which you will find on the rates bill for a property) can give you some idea of the market value of a property, although it may bear little relation to the purchase price, which is the price agreed on between the seller and purchaser. Rating Valuations (RV) are compiled by Quotable Value at least once every three years under the Rating Valuations Act 1998, for the levying of local authority and regional council rates. RV are often quoted in advertisements from real estate agents. If the RV is less than 6 months old, or your mortgage application is for a relatively low proportion of the value of a property, it may be acceptable as part of your application to your bank. However, it's wise to check in advance. Before settlement, make sure you organise your house and contents insurance so that when you formally take possession, your new home is insured and your insurance company has your new address for contents insurance. 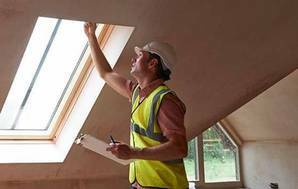 Purchasing a building inspection before buying can help, though be careful who you call. The quality of inspections is highly variable and relying on a misleading inspection could see you out of pocket for tens, and even hundreds, of thousands of dollars. Check the hot water cylinder for year of make, which gives an idea of the age of the house or if the plumbing has been redone. Check for cracks in the ceiling which may also indicate the house has moved off its piles. Also check both the interior and exterior for any sign of mould or dampness which could indicate a leaky roof or window frames, etc. If you’re not happy with anything, it should affect the price you offer.